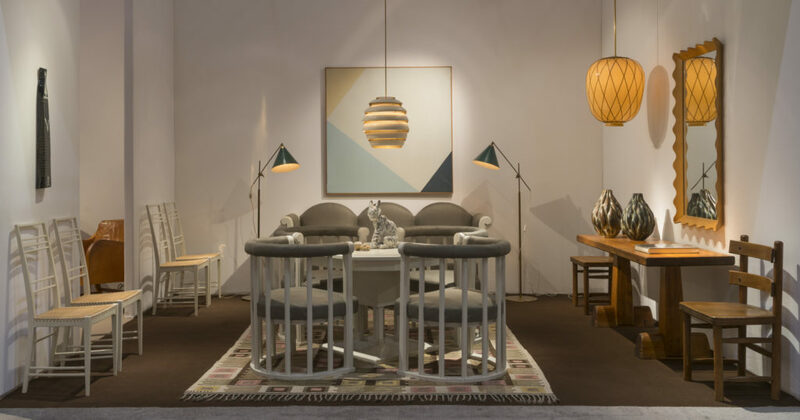 As a tribute to Finland’s 100 years of Independence, the highlight of our booth is an exceptional group of furniture designed by Eliel Saarinen for the Munksnäs Hotel in Finland in 1907. 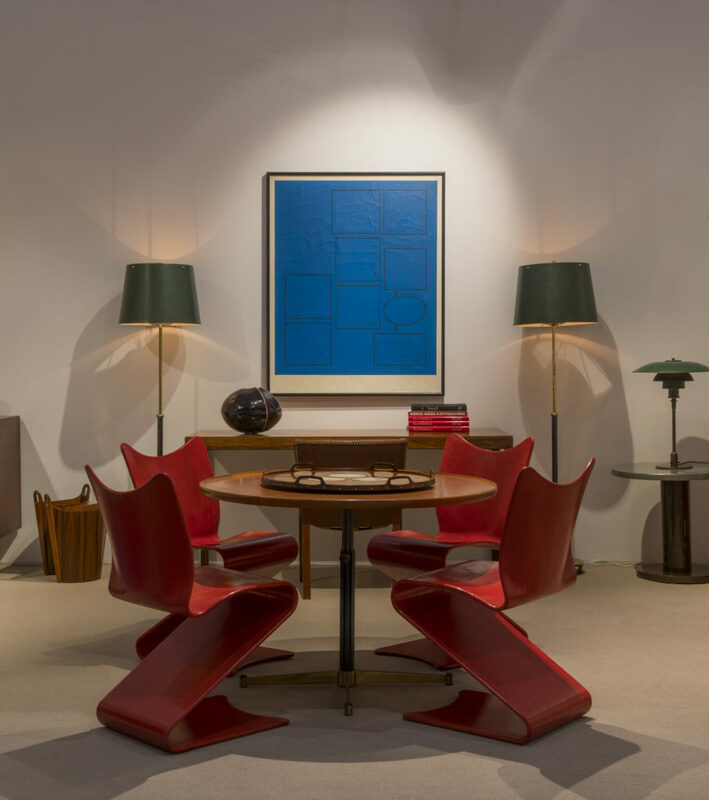 The set features a three-seater sofa, a dining table and four chairs, and stands as a remarkable achievement in the history of furniture design. 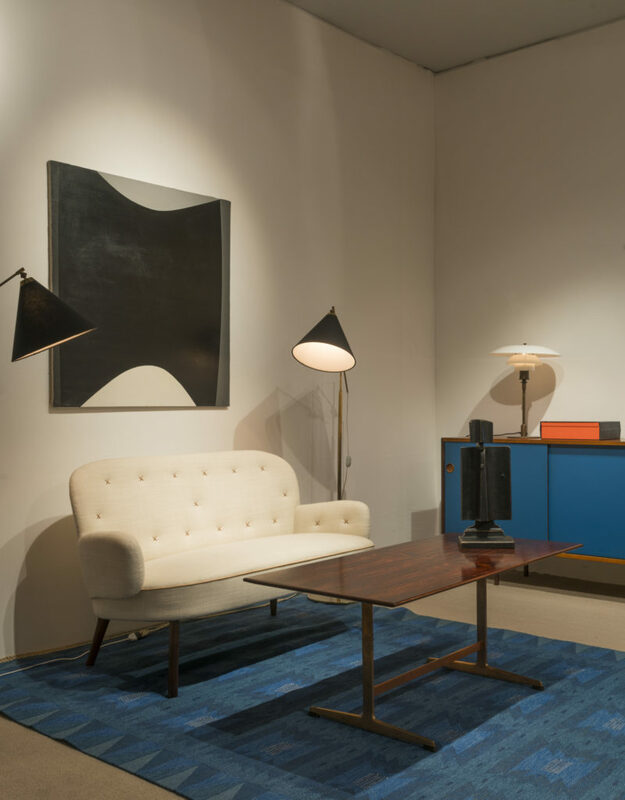 We are also presenting an outstanding collection of 20th Century furniture by some of Denmark’s most talented cabinetmakers. 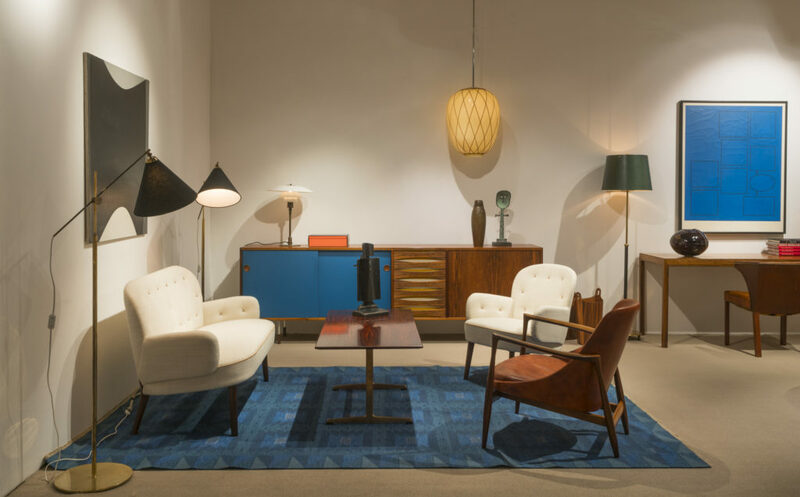 A sideboard with reversible sliding doors in stunning original condition designed by Arne Vodder in the late 1950’s; a beautiful and rare sofa and chair made by architect Edvard Kindt-Larsen and his wife, Tove, highly acclaimed at the Copenhagen Cabinetmakers’ Guild Exhibition in 1953; and a Mix easy chair co-designed by Kaare Klint and Kindt-Larsen in 1937. 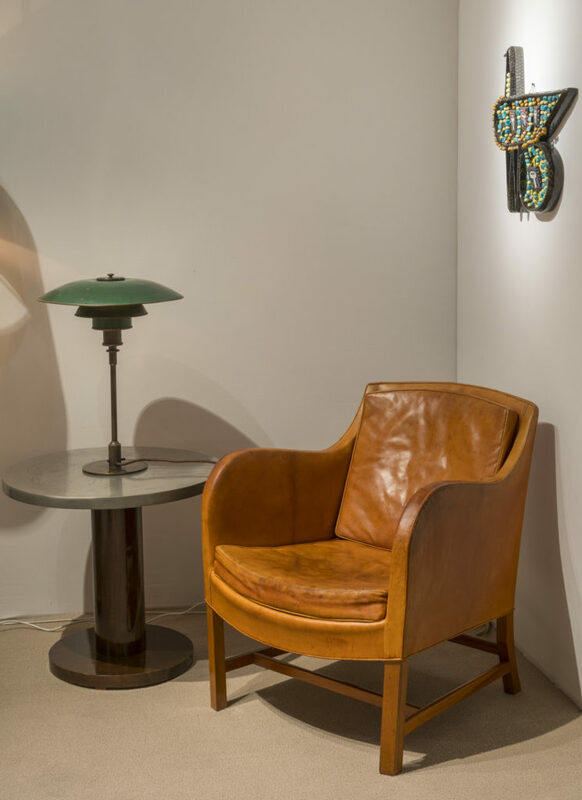 Four very rare Verner Panton chairs, a round table by Helge Brandt, two pairs of floor lamps by Poul Dinesen and a stunning chair by Frits Henningsen are also on display. 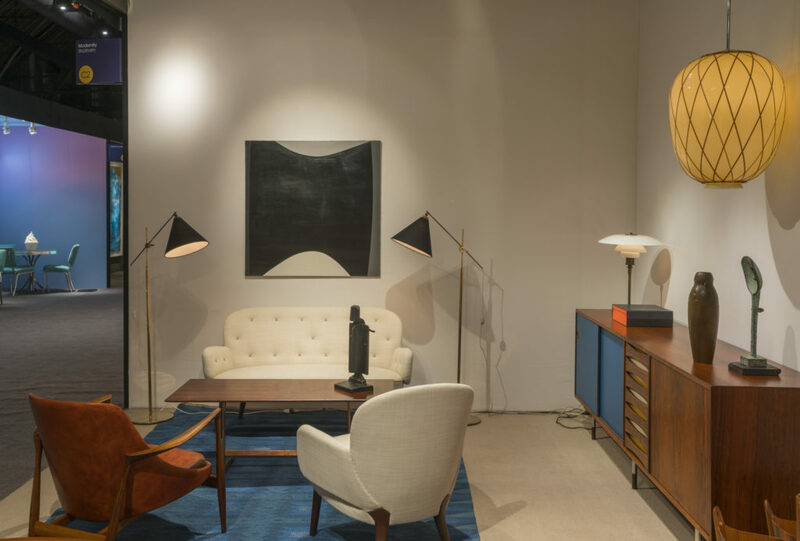 Swedish design is well represented with furniture pieces by Axel-Einar Hjorth - a console, two chairs and a mirror - and Erik Chambert - a library table and a set of Poem chairs. 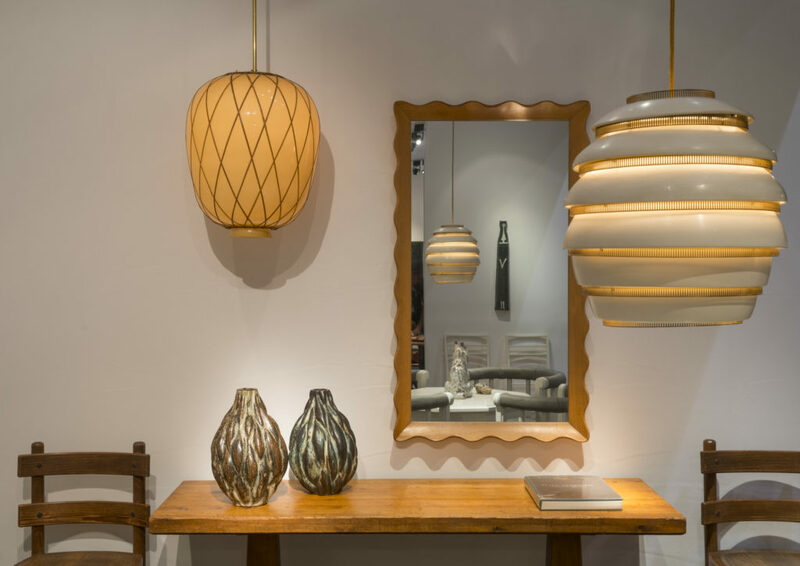 Carl Westman's monumental glass and cane pendant lamps complete the show. 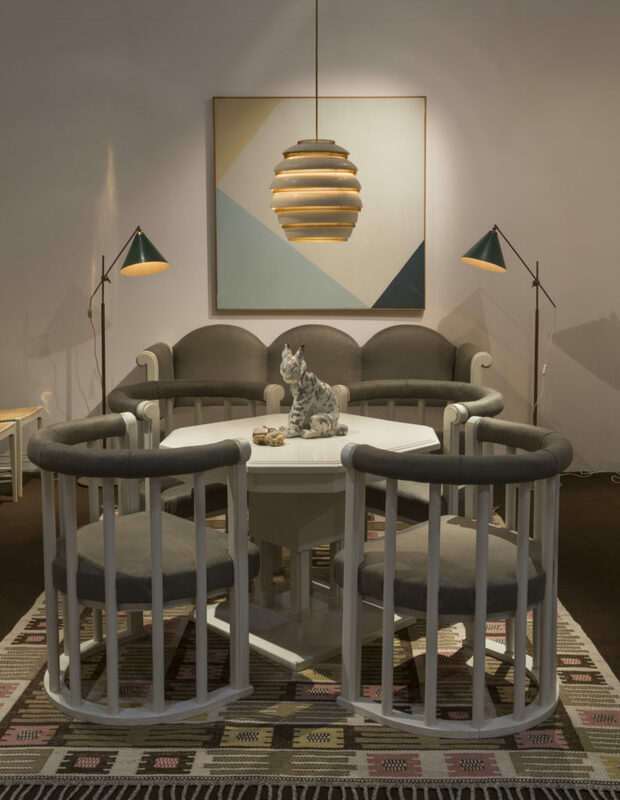 Modernity has over the years come to specialize on exceptional lighting by Danish "Architect of light" Poul Henningsen - two table lamps from the early production years - and Finnish master Alvar Aalto - a beautiful example of the Behive pendant light. 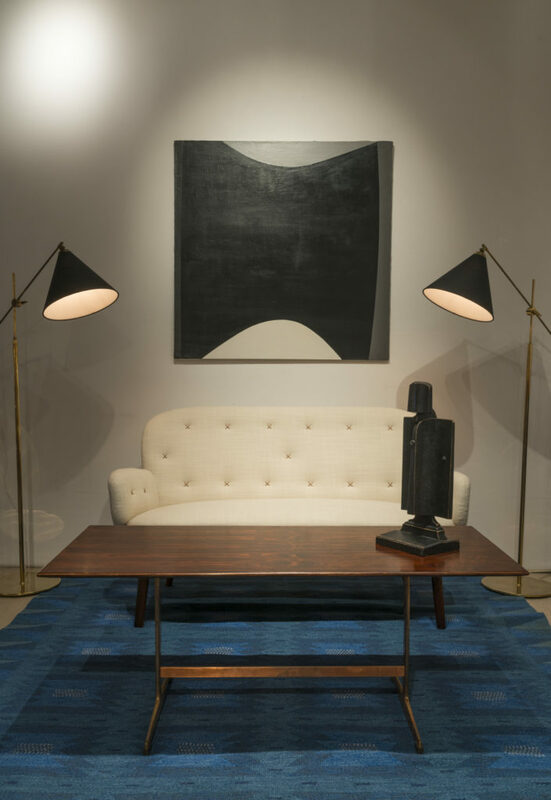 Alongside furniture and lighting, we have also curated two Swedish rugs, one of them signed by Märta Måås-Fjetterström, and two stunning vases by acclaimed Danish ceramist Axel Salto. 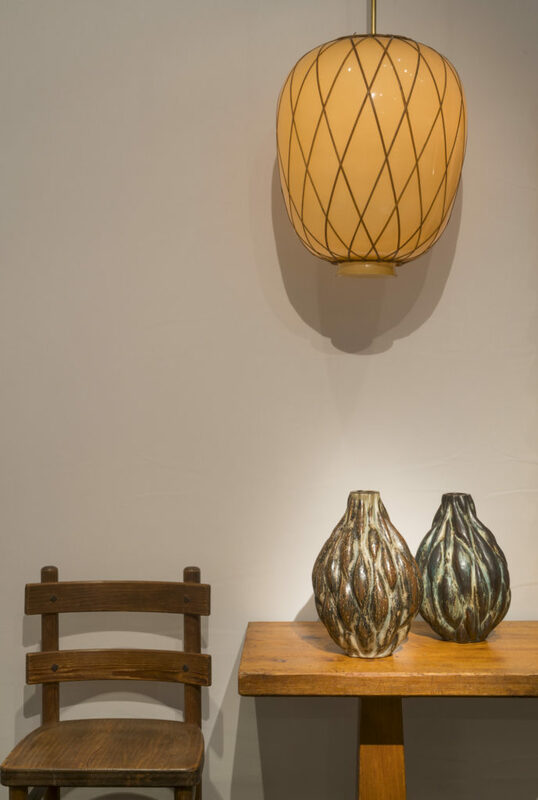 We sincerely hope you will have a chance to come and visit us, it will be a great pleasure to welcome you and take the time to show you around.